Former President of India A.P.J. Abdul Kalam said that “poetry comes from the highest happiness or the deepest sorrow.” New collections by UNCW creative writing faculty members Mark Cox and Anna Lena Phillips Bell explore both. 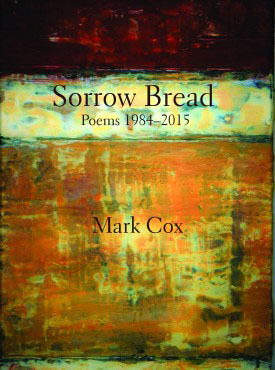 Sorrow Bread includes poems from Cox’s distinguished 30-year career. Soulful, artful and accessible, the poems capture domestic life, the natural world, aesthetic tradition and language itself. The book is newly published by Serving House Books and is available through Amazon. 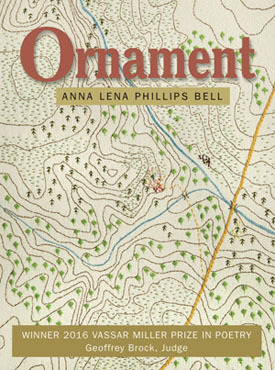 Ornament, Bell’s debut poetry collection, won the 2016 Vassar Miller Prize in poetry and was released by the University of North Texas Press on April 15. The collection is Bell’s ode to bluegrass, biology and balladry. With lyrical beauty, the poems in Ornament pay homage to the natural world. A longtime professor and the outgoing coordinator of the MFA program, Cox served as the founding chair of UNCW’s Department of Creative Writing. He has won a Whiting Writers Award, a Pushcart Prize and the 1999 Society of Midland Authors Poetry Prize. This is his fifth published volume of poetry. Readiness, a new book of prose poems, is scheduled for publication next April. Bell is a lecturer in the department of creative writing and editor of Ecotone. The recipient of a North Carolina Arts Council Fellowship in literature, she served as senior editor at American Scientist. Her poems have appeared in the Southern Review, 32 Poems and Poetry International.